Both 13 and 18 pounders were pulled by a team of six horses, the horses were divided in to three teams of two. The horses were harnessed to a carriage limber, which also held ammunition, driven by two gunners and the gun was attached to this limber. 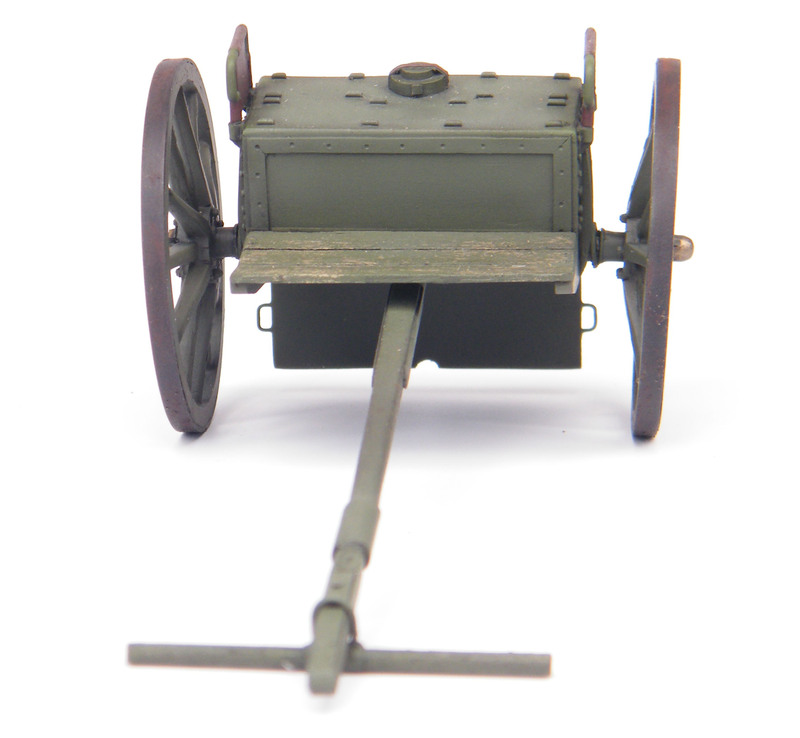 With the gun and carriage limber team was a second team which drove six horses in the same fashion attached to two ammunition limbers, these were referred to as the wagon limber (which was immediately after the horses) and attached to that was the ammunition wagon. 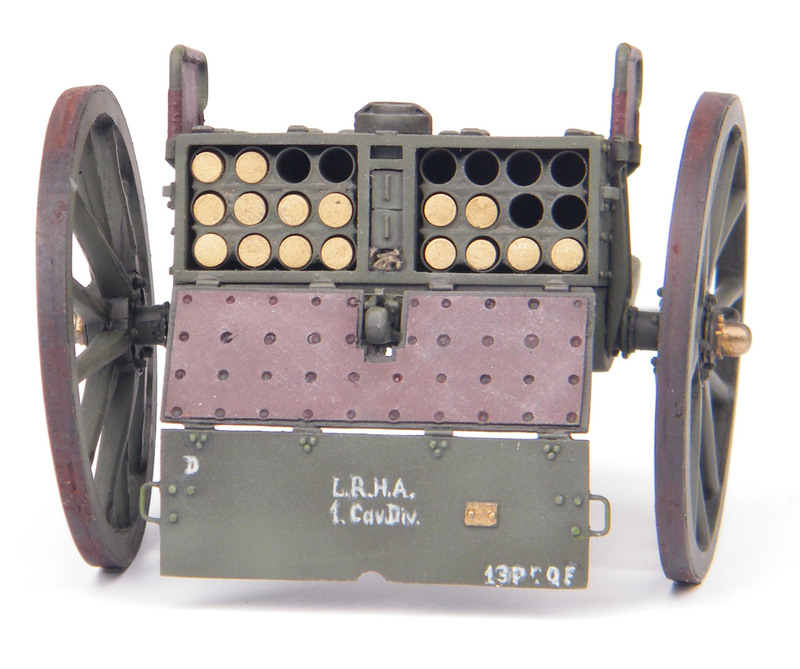 The carriage limber held 24 rounds of ammunition, the wagon limber and ammunition wagon each held 38 rounds of ammunition, giving each gun 100 Rounds Per Gun (RPG). 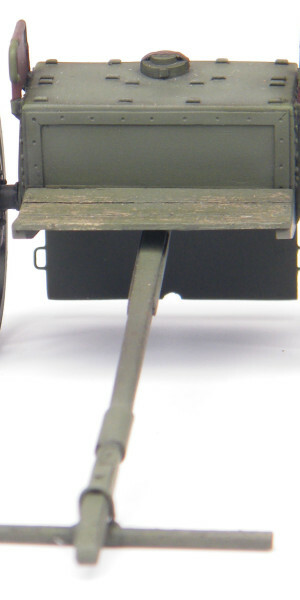 The carriage limber consisted of a steel frame and a series of wooden fittings supporting a steel ammunition box. 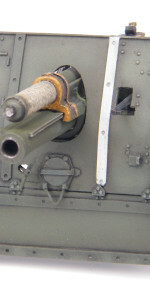 There were two limber types, Mark I and Mark II, the difference being that the Mark I had tubular baskets for the ammunition, the Mark II having brass tubes. 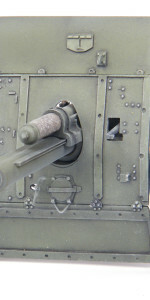 Therefore, the one provided, if the ammunition section is built open, is a Mark II. 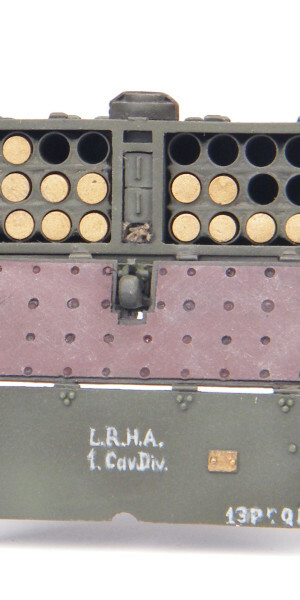 This detailed kit is supplied in resin in 1/32 scale (54mm) and can be built to supply both the 13 and 18 pounder QF artillery pieces (the same limber was supplied as the only difference would have been the length of the shell itself.